At least our political system is not as corrupt, yet…. A Tui Ad coming – yeah right. 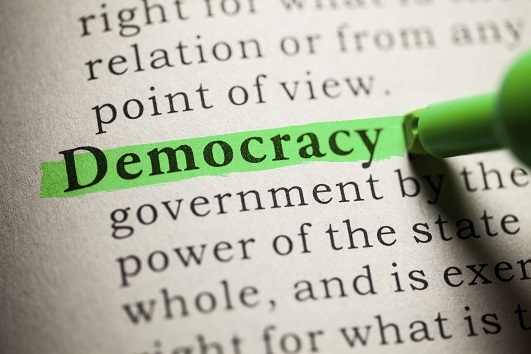 The US is a republic, not a democracy. The “Founding Fathers” were dead scared of popular democracy. They instituted multiple steps to ensure that popular democracy would never take hold in the US. Female or Black? No votes. Unelected Senate. Electoral College. In other words, only allowing the right kind of people to vote, and ensuring that some peoples votes counted far more than others. Unfortunately the same story applies in the UK, New Zealand, Australia and the whole Western world. It’s the part of globalisation the masses aren’t told about. Coupled with the breaking of unions (this government has denied unions access to the workplace and allowed employers to walk away from good faith bargaining) no wonder the middle class is dying off. But how many of those former middle class voters still vote for the John and Bill Show because they still aspire to be wealthy? That’s despite the fact they aren’t getting anything out of National. I’m sick of hearing from National voters when I ask them to tell me what this government’s biggest achievement is in seven years in power, they still say “well Labour isn’t offering much of an alternative”. It’s unfortunate that the unions of previous generations have ruined it for every one who’s followed. Sorry, thought your comment was on the OP. BM: So you support child labour, zero hour contracts, zero safety standards, no holiday pay, no workers’ rights, sexism and racism at work? You sad ignorant fool. I suspect my neighbours are SOCIALISTS and know they are in a Union… What should I do? But they do help me out a lot and are kind, friendly people… I just recently baked them some cakes and shared them – OMG I am a Socialist too! You already know what to do, and we do it as a team.